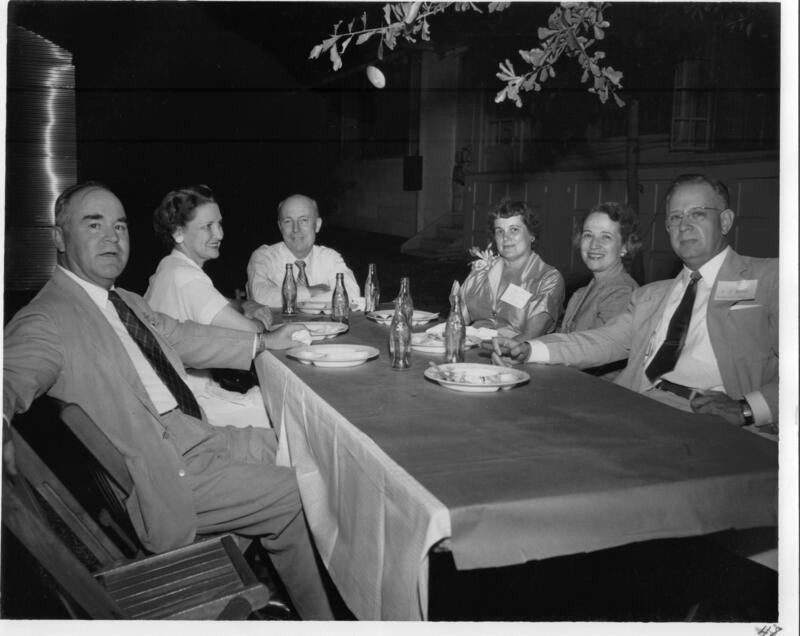 Description: Photograph of guests seated at a dining table during the Dollinger Steel fiftieth anniversary celebration. Each person is wearing a name tag, though none can be read clearly. Empty plates and soda bottles are placed on the table at which they are seated. A building is in the background.